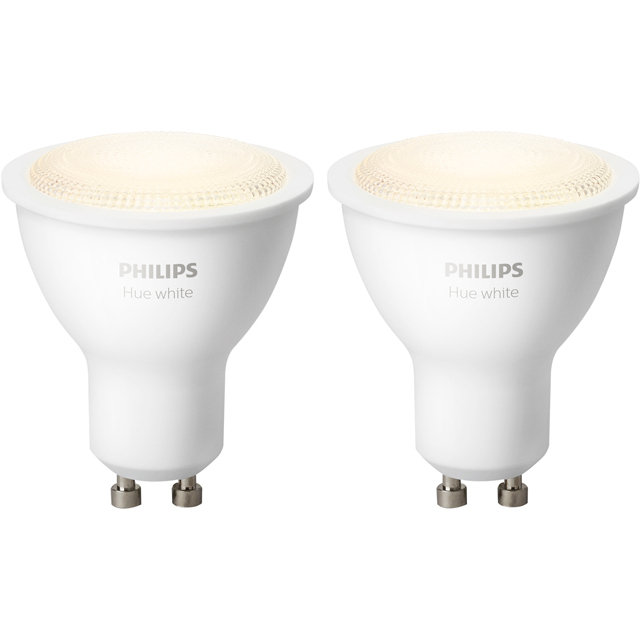 Take control of your lighting with this smart light bulb twin pack from Philips Hue. You can control these bulbs from your smartphone – so you won’t have to stumble around to find the light switch when you get home late. Because they’re white bulbs, you’ll always have clear lighting in your home too. Each bulb has a spotlight fitting and a 15,000 hour lifespan as well, which means you won’t need to pay for tons of replacements. It’s easy to set a timer when you’re away for a weekend, so it’ll still look like you’re home. And, when you’re relaxing in the evening, you can even dim the lights to help you unwind. Please note, to use these Philips Hue light bulbs you’ll need a Philips Bridge (sold separately). You’ll also need to download the free Philips Hue app, which is compatible with all iOS and Android devices.